ACTS’ history is repeating itself. In 1969, twelve churches joined together and combined their resources to help a family that was in crisis. In July of 2016, a few years shy of ACTS’ 50th anniversary, three churches from three different countries have banded together to not only improve upon one of the organization’s sites, but areas around Prince William County as well. These three churches include Crossroads Presbyterian Church, located in Dumfries, a Baptist Church from Cera, Germany, and another from Rostov-on-Don, Russia. In total, 40 missionaries have arrived from Germany and Russia to work on the grounds of the Women’s Empowerment Center, which opened last year. They were also given a tour of ACTS’ administrative building and Family Services Center by CEO, Steven G. Liga. ACTS is truly grateful of the help these missionaries have provided to assist families that are in a transitional moment in their lives. The clean-up of ACTS’ grounds comes at a major of time of change for the organization, as new signs have gone up, buildings are being restored, furniture is being replaced, and a new site in Manassas is opening in August. 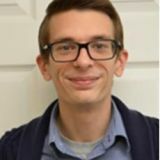 Ethan Vick is the Administrative Coordinator at ACTS. He attended East Carolina University and the University of North Carolina at Wilmington, where he obtained a bachelor's degree in the field of English Education. He has been with the organization since October of 2015, and was originally employed with the Thrift Store. He now contributes to ACTS' blog, as well as provides weekly editorials for ACTS' staff called "What Up Wednesdays."